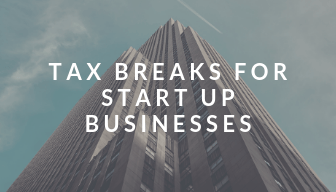 If you are thinking about starting a business then it’s really important that you take some advice as early on as possible and especially before you start to trade as whether you trade through a limited company or as a sole trader can make a big difference as can whether you voluntarily register for VAT. The rules are very complicated and vary considerably depending on your circumstances so we have produced this guide to give you an overview – if you need any specific advice then please get in contact with us. When starting a new venture one of the biggest priorities that we hear about is Cashflow to make sure your business doesn’t come to grinding to a halt. You must ensure that you invoice customers promptly and chase them for the money they owe so they pay you on time. But there are also a number of tax reliefs available when you are just starting out. Most of the time when starting a business you have lots of things that you need to buy just to get started. Maybe you have been preparing for years to start up, buying things a little at a time or you may have been doing it as a hobby and now want to take it to the next level. More than likely you will have incurred expenditure before you have actually started trading. This is called Pre-Trading Expenditure and this can actually all be deducted from turnover in your very first accounting period just as if you had incurred it on the first day of trading. The only caveat is that it must have been allowable if it was actually incurred on your first day of trading. One thing that you do need to be aware of is that there are some items that don’t qualify. The main ones are Capital Expenses. These are purchases of capital items or assets that have a longer life such as buying a new coffee machine a van or a printer. There may be capital allowances available for these types of purchases which will reduce your tax bill however they are not allowable for pre trading expenses early losses claims. So what is actually allowable and what isn’t? The cost of my trading stock will be an allowable expense, because basic accountancy practice says it is brought in at the lower of its cost or its market value – it does not matter that I bought it before I started trading. In the same way, the rent and the insurance premiums paid in advance are allowable to the extent that they relate to the period after I started trading, because accountancy practice says they should be spread over the period they relate to. This could include staff wages for the period before you started trading and the rent, interest, and insurance costs for that same period. It also includes the advertising costs incurred before the opening day, and any travelling expenses – such as to buy stock from the cash and carry. All this expenditure should be treated for tax purposes as if it was incurred on the day I started trading. This only applies if the expenditure was incurred in the seven years before the trade started – though I doubt if that restriction will cause many problems! § For assets (such as the plant and machinery) acquired specifically for the purposes of the new trade, the expenditure is treated as if it was incurred on the first day of trading. For assets originally acquired for private purposes (such as my car and my computer) which are now going to be used for the trade, then I can treat them as if I bought them on the first day of trading, but I use their market value on that day, not their cost when I actually bought them (unless, exceptionally, their market value on the first day of trading is greater than their cost, in which case it is the cost I bring in). Note that where assets (such as the car) are used for private as well as business purposes, the capital allowances claimed will be restricted to take account of that private use. These can be tricky, because if, for example, repairs to the premises are needed before trading can start, HMRC may argue that they are capital expenditure – because they are part of the cost of getting established in business. Claiming pre-trading expenditure can create or increase a loss. Generally ‘trading losses’ can be set against profits in the year, carried forward to use against future profits or carried back to use against profits last year. However, in order to assist new businesses the normal one year carry back facility is extended to the three years preceding the loss. This extension applies to losses incurred in the first four years of trading. Now if you are just starting out and you know that you are going to have a trading loss in the first year then you need to consider whether to trade as a limited company or a sole trader. We see many people who want to jump in and trade with a limited company immediately. However losses generated in a limited company can only be carried forward against profits of the same company, meaning that if you have several types of income from different sources you cannot set one off against another. If you are trading as a sole trader then any losses you generate in your first 4 years can be set off against other types of income in the year, for example if you have another job then you may be able to reduce the amount of tax you pay. Now if you were previously employed but have given up that job to start your own business or you have had any other type of taxable income then you can carry back any losses in your first 4 years against any income tax that you paid in your employment for the last 3 years by electing to claim ‘early years loss relief’. This often generates a tax rebate and if you were a higher rate tax payer these rebates are higher. This is highly useful and can lead to a valuable cash injection for the new business owner. If you are looking to claim sideways loss relief (including early years relief) then you will need to prepare your accounts on an ‘accrual basis’ and not on a ‘cash basis’ (sometimes referred to as ‘simplified accounting). If you use the cash basis then your only option is to carry forward losses to offset future profits of the same trade. HMRC will deny relief if you are not carrying out your trade on a Commercial Basis. Now this is a bit of a grey area but basically you need to expect to be able to make a profit from your new business in the future – and lets face it, if you’ve given up your job and have no other income you will need to make a profit. If it is really just a ‘hobby’ then you cannot set losses off against other income. There is a ‘cap’ on how much you can claim. The cap is either the higher of £50,000 or 25% of the total income like normal sideways losses. This applies for each of the three available tax years, not the total loss itself. This is a simplified guide designed to give you a basic overview and should be used to spark thought and not used as a definitive guide. We have used examples purely to illustrate potential different situations. Taxes are complicated and we recommend that you take professional advice that relates to your personal circumstances. And don’t forget that we are always happy to answer quick questions even if you aren’t a client so feel free to pick up the phone – we could answer in a couple of minutes something that is keeping you awake at night.